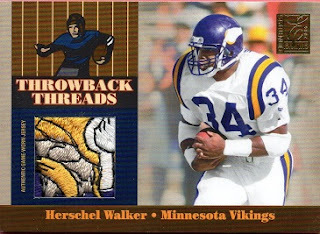 With pleasure, I add another Herschel Walker memorabilia card to the Hoard. A 2006 Donruss Elite Throwback Threads Prime card makes the grade at #592. 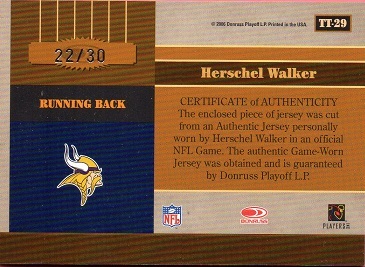 This card was serial numbered to 30, of which this example is 22.